Want something older? | Looking for my PhD? 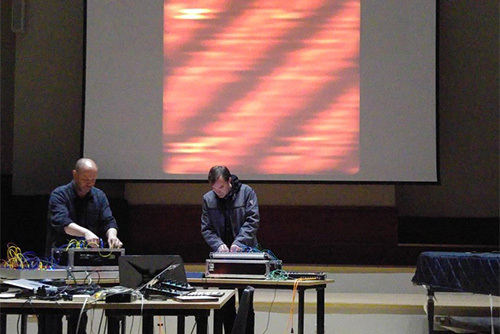 Following our performance at Siren, my ECA colleagueYati Durant and I were invited to perform PixiDust at Seeing Sound Symposium, Bath Spa. We'd developed some new approaches to working with loops of video including feedback and looping techniques. The levels were quite hot into PixiVisor leading to some dropouts and eventual failure of PixiVisor, but overall it was a rigorous and exploratory performance. 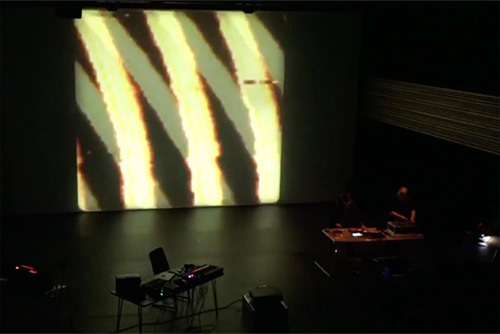 Seeing Sound 2018 - Yati Durant and Jules Rawlinson, Pixidust 2 (performance) from Joseph Hyde on Vimeo. My ECA colleagueYati Durant and I collaborated on a new audiovisual project, PixiDust, for the SiREN Arts & Digital Practices Conference organised by PhD students from Edinburgh College of Art. 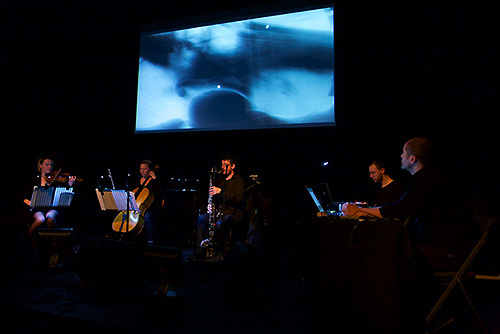 PixiDust is a structured improvisation that explores opportunities for integrated audiovisual performance through hybrid analogue/digital video synthesis. Images are encoded to an audio stream using the cross platform PixiVisor software and subsequently processed in the analogue domain before summing to a final analogue to digital audio-video conversion. 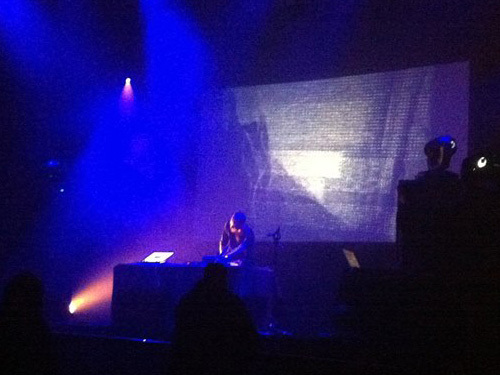 A chance meeting with Franziska Schroeder at Belfast City after Sonorities led to a new work developed via email and Skype, and presented as an audiovisual trio with live visuals by Dara Etefaghi. "The saxophonist�s materials become the basis for the visual artist who uses these subtle sounds to inform and drive his response, tracing the gestures of the performer�s breath. 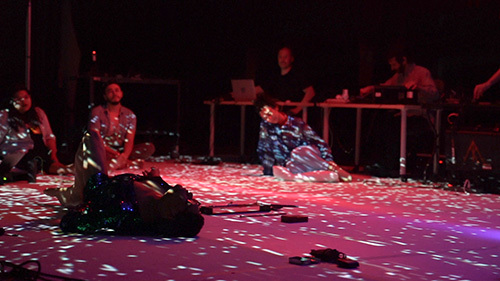 Live processing of the breath sounds allows us to enhance, as well as to counter the performative materials through filtering, dispersal and accumulation." Re-breather from CAHSS Webteam on Vimeo. 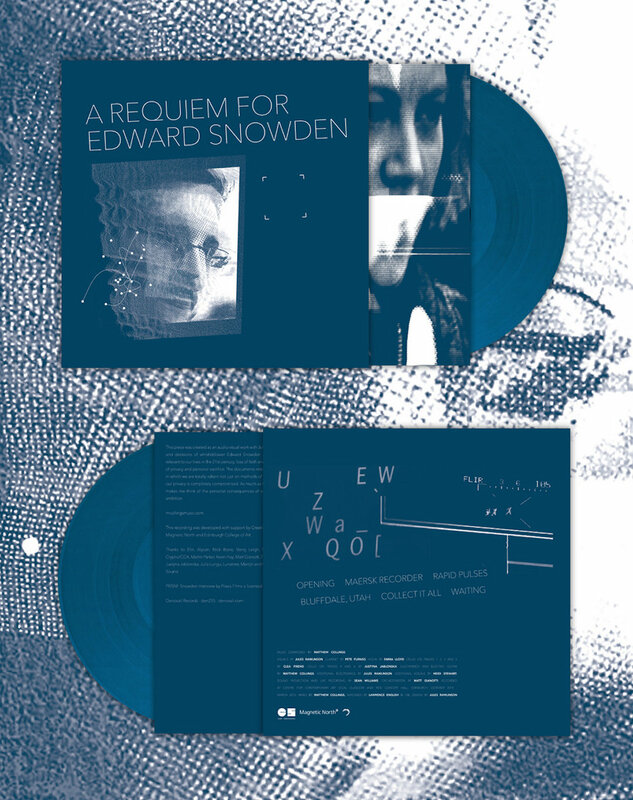 Requiem for Edward Snowden, my AV collaboration with Matthew Collings is now available on CD/DL/LP from Denovali and includes a download code for full visual piece. I designed all the artwork for the release across the different formats. skr1bl_rec01_080216 from pixelmechanic on Vimeo. 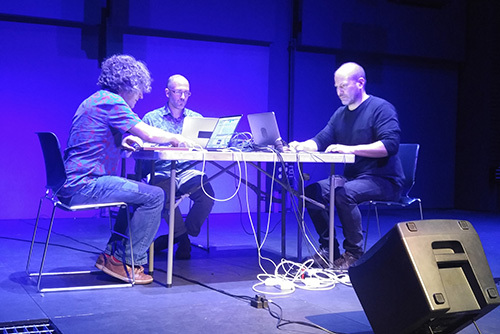 Matthew Collings, Sean Williams and I had a great experience working with Dutch ensemble Lunatree, next up Sound Festival, Aberdeen! 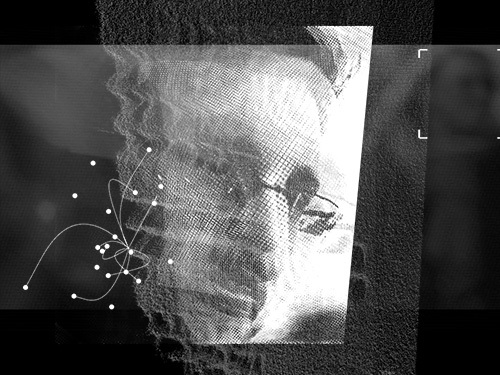 Matthew Collings and I were selected by Made In Scotland to perform Requiem for Edward Snowden over three nights at the Edinburgh Festival Fringe as part of their curated showcase of Scottish performance. We received some good press including this preview from the Scotsman. We had great input from our partner Magnetic North, and, as ever our performers, Pete Furniss, Clea Friend, Julia Lungu and Sean Williams. Thanks also to Creative Scotland, New Media Scotland and Edinburgh College of Art for continued support. Please Use The Tramps Provided has been selected as one of the the centre piece works at Sonorities 2015, Ireland�s premier festival of digital and contemporary music, digital arts, sound art, video and installation art. The theme of this years festival is 'fractured narratives', which suited Tramps remediated late night Tube journey from north to south London on the Victoria line (specifically inspired by frequent dashes to catch the last train to Brixton after flying to Stanstead). Matthew and I now have funding to perform the piece at the Fringe thanks to Creative Scotland's Made in Scotland stream. As the saying goes on Muffwiggler "audio, or it didn't happen"! 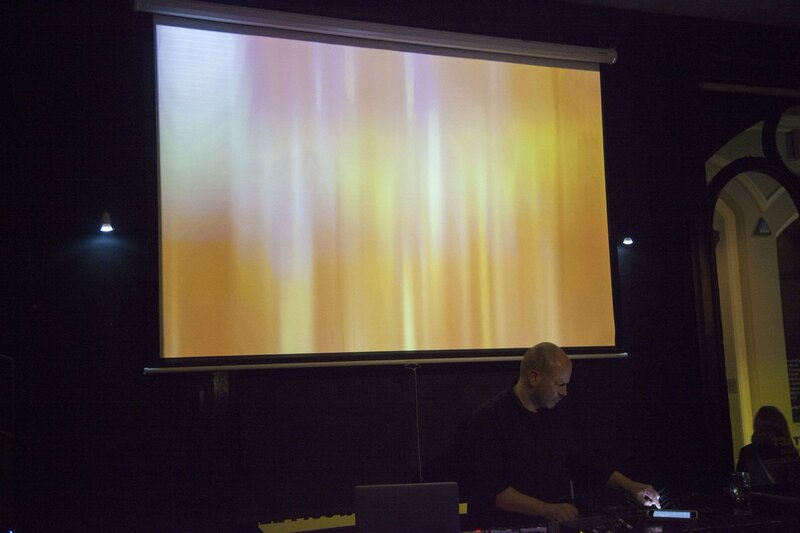 No pics and no sound, but was invited to perform at Novars in Manchester as part of Sines & Squares festival alongside some other modular musicians. Thanks to all organisers and participants for a fine time! 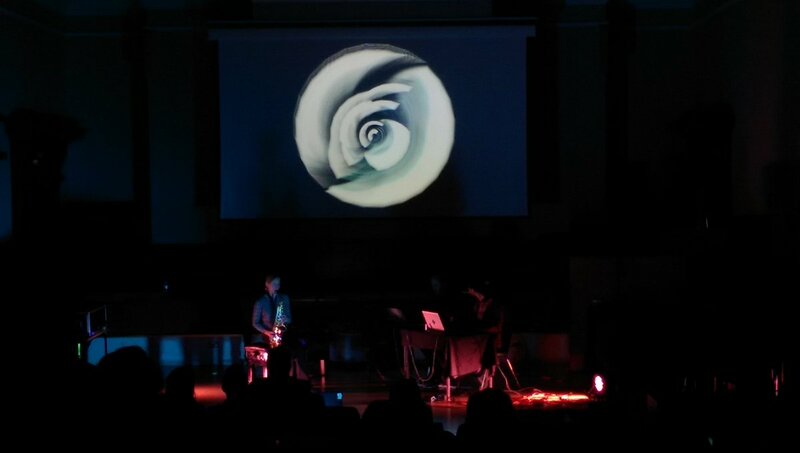 We premiered it to a full Reid Hall on October 11th, with thanks to our musicians Emma Lloyd, Pete Furniss and Justyna Jablonska, and also thanks to Sean Williams for his (as ever) detailed sound projection and Matt Giannotti for help with score arrangements. Have been working with Matthew Collings over the summer on a big project (more of which to come...), and as a by product I performed live visuals to Matt's set taken from his albums Splintered Instruments and Silence Is A Rhythm Too at Glasgow's Old Fruitmarket.